Our frequent reader and media contributor Jørn Ove Woldsdal is a very active person. He loves to venture under the waves, carrying his scuba gear, and paying a visit to planes under Adriatic Sea. Believe it or not, there are numerous flying machines which ended up submerged beneath the surface of Croatian Seas, some even descending from the times of World Wars. One doesn’t have to say that they are prime diving localities, annually visited by a lot of visitors. The photo was taken in the coastal vicinities of Murter Island, which was proclaimed a national park due to its fascinating natural sceneries. A similar diving spot can be found further northwest, as naval proximities of Zirje Island hid a wreckage of dreaded Nazi WW2 bomber “Stuka”. 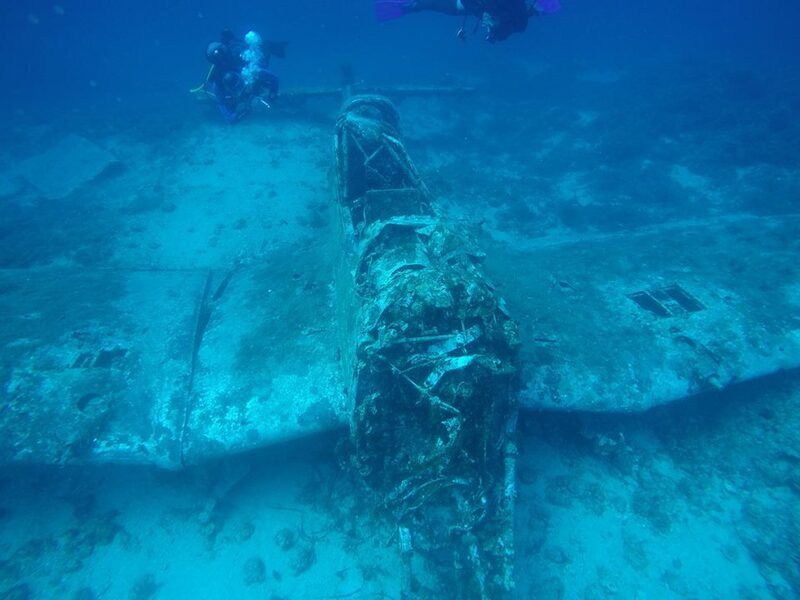 An allied warplane belonging to type B-17 Flying Fortress, can be found in the waters near Vis. These are just some of the examples of planes under Adriatic Sea, and more are founded every year. As for sunken naval vessels, their numbers are even more abundant. Next to coasts of Pula in Istria, one can found a wreckage of transporter Baron Gautsch, which tragically ended its route in 1908, as a mistake in course led it to a military mine field. A few miles away from its ruined hull, one can found the metallic remains of Italian warship Giuseppe Dezza, which was obliterated by British airplane in 1944. The explosion was so strong that it ripped Dezza in two halves, both of which can be accessed by scuba divers. These were just a few of many underwater ghostships, once serving human crews only to become homes to fish and corals. Follow Jørn’s example and provide our readers with your photos of Croatia. Just upload them to our Facebook Wall and earn a chance of becoming our media contributor of the day.